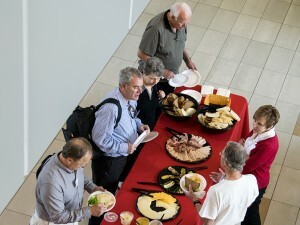 For the first time, graduates of the University of Utah’s School of Computing were invited to attend the school’s first Alumni Day, a gathering for networking, exchanging ideas, and just meeting old friends. 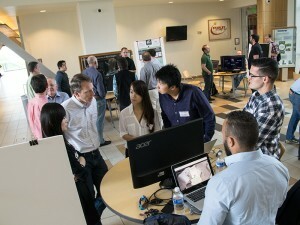 The event was held Saturday, May 2 in the Ed Catmull Gallery of the Warnock Engineering Building. 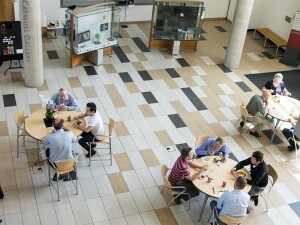 Department Chairman Ross Whitaker spoke about the promising future for the U’s School of Computing as well as the rising opportunities in the field of computer science. 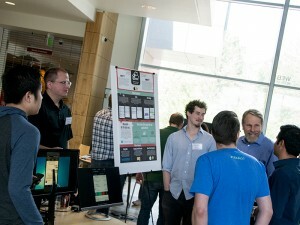 Additional talks were given by Bryan Trussel, co-founder and chief executive of Seattle-based Glympse; Westminster computer science professor, Helen Hu; and U research assistant professor, Robert Ricci, co-director of the university’s Flux Research Group. Finally, SoC professor Tamara Denning spoke about computer security and privacy. 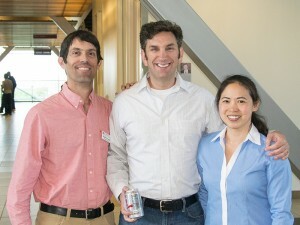 After the presentations, alumni who attended were shown this year’s top computer science Senior Project winners. 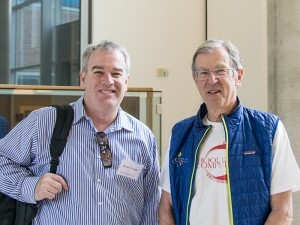 The SoC Alumni Day continued to demonstrate the U’s commitment to world class education by going beyond the classroom with enlightening conversations on topics of particular interest to its alumni. 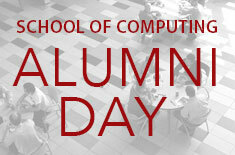 Nowhere else would it be possible to gain perspective on local issues affecting the University and State of Utah, changing dynamics of enrollment trends and its impact on industry and society, entrepreneurial expertise of starting and maintaining an IT business, research updates on relevant technology, and the opportunity to see development projects of the senior class. It was truly a worthwhile investment.